For organizations with disaster recovery services in place, the challenge often lies in supporting the ongoing maintenance and re-evaluating the initial investment versus newer offerings as their environment continues to expand, or leases expire. Fortunately, the landscape of disaster recovery solutions is shifting to accommodate changing IT needs. 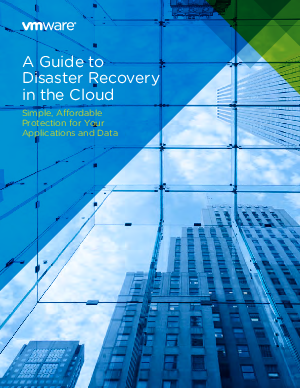 VMware vCloud® Air™ Disaster Recovery provides simple, affordable, automated processes for replicating and recovering critical applications and data — at a fraction of the cost of duplicating infrastructure or maintaining additional data centers. Organizations can afford to scale their efforts as needed, with flexible terms and resource options.